Someone says in Into The Woods “Opportunity is not a lengthy visitor” – I’m hazarding a guess with Jack’s mother. That piece of Lapine wisdom has always stuck with me and led me to pretty much say yes to anything that looks exciting career-wise, in case it doesn’t pass me by again. 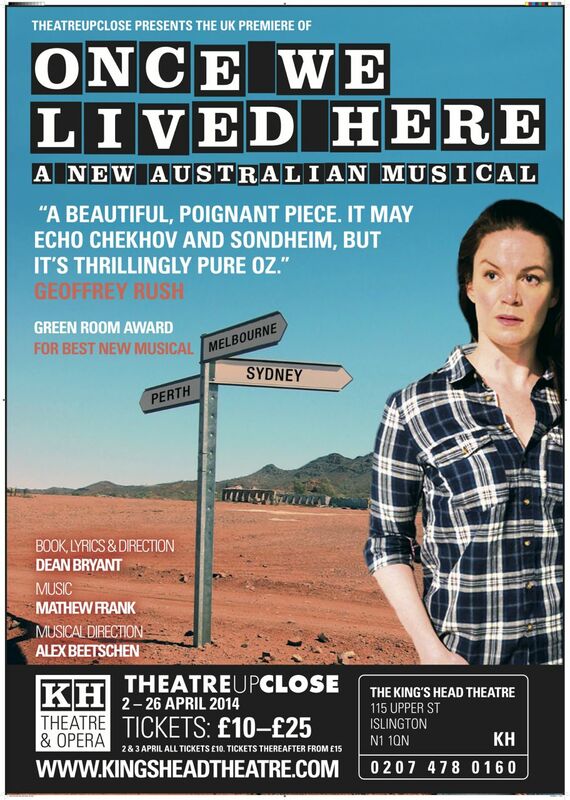 During the visit to London for “Liza” last year I met up with the King’s Head theatre folk and pitched a few shows to them – they came back eventually saying they really like “Once We Lived Here” and we figured out how to get it on there in early 2014. The King’s Head is one of London’s original fringe venues, and has a decades-old reputation as launching the careers of many actors and writers. I even name checked it in “Newley Discovered”. However, it’s also a fringe venue, and though prestigious, it comes with the usual fringe issues, as well as those issues that come with the fact that it is based in London and I live in Melbourne. To direct the show, I would have to fly myself there, find a place to stay in one of the most expensive cities in the world, and subsidise the general cost of living in aforementioned $$$ city. But when would the opportunity come to launch our writing in one of the two major music theatre cities in the world? So, we figured out a way to make it happen and settled on a timeframe. It was a pretty empty start to 2014 at that point. 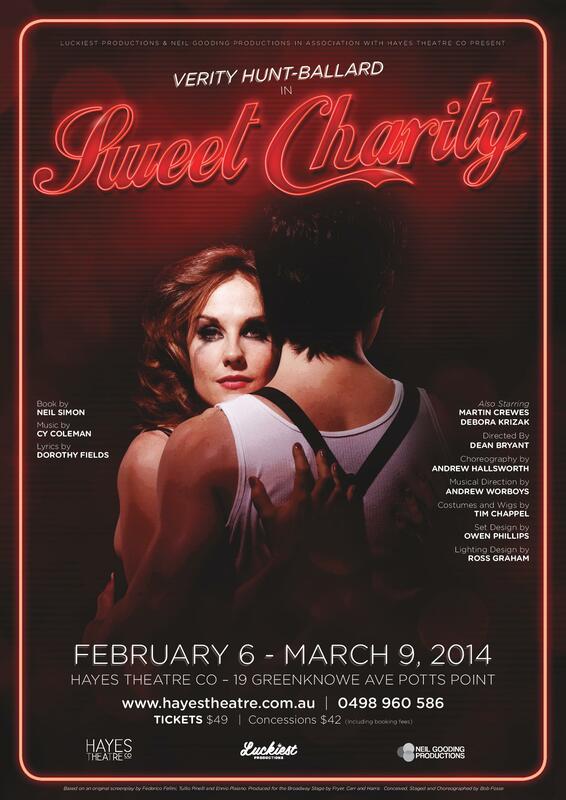 Then I sat with Dickie Carroll at a Production Company show, and he mentioned that he and Lisa Campbell were doing “Sweet Charity” as the first show at the new Hayes Theatre. I called Lisa up the next day to say I wanted the job – again, opportunity is not a lengthy visitor – and she said that she’d be thrilled to have me on board, but to remember that it was the first show of the Hayes, and they weren’t as yet able to accommodate etc. But a chance to direct a musical that I’ve always wanted to do, and on that scale was too good a chance to miss just because of having to find a place to stay, so I rustled up a crack creative team and thought, I’ll figure out a way to make it work later on. 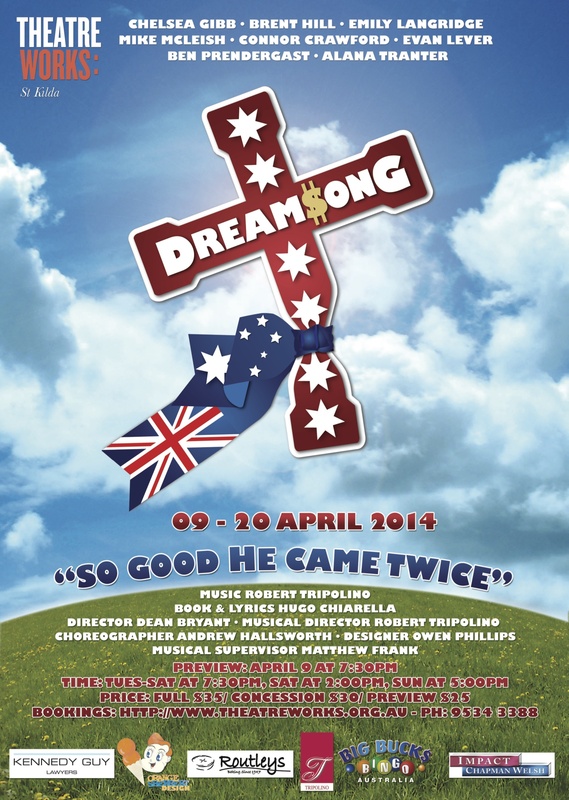 Things moved on apace, we cast “Charity” with a crack team and I was about to fly to London to cast “Once We Lived Here”, when Rob Tripolino asked me to give notes on his new musical “DreamSong” that he was producing at Theatreworks in a few months. I read it, was hooked and immediately wanted to direct it. But it was impossible. It bumped into the theatre the day I got back from opening night of “Once We Lived Here” in London. So I gave Rob notes on what I thought needed improving and wished him all the best. But Jack’s mother’s advice kept going through my head, along with that feeling of “do you want to let someone else direct this?”, “when does a good original Australian musical come along?” I sat down, took a breath and made it work. If I had the “DreamSong” cast rehearse the Monday after I opened “Sweet Charity” in Sydney, I could get the floor rehearsals finished by the time I flew to London to start rehearsing “Once We Lived Here”. If “DreamSong” met once a week while I was away, then we could all remeet on the Monday I landed back and tech, preview and open four days later. I took this plan to Rob and his partner Hugo, and they went, what the hell, let’s do this. It was a ludicrous schedule doing three essentially independent musicals in a row, each one with in a different city, two of which I didn’t live in, each one challenging in various ways. They were all received differently, both critically and amongst my peers, friends and family. They all looked and sounded completely different. They all sold differently. But what they had in common was that they were brilliant experiences that I wouldn’t trade for anything, that they each had a cast and creative team that I would rush to work with again, and that getting each of them on proved that you can make anything work if you answer the door when opportunity knocks. And have a massive support team around you. 3 musicals, 3 sets of auditions, 3 designs, 3 rehearsal periods, 3 techs, 3 sets of previews, 3 opening nights. 13 weeks in a row of full-time rehearsals. In the middle of it, I wondered if I would get to the final opening night, but now they’re all in the past, I wonder how I even doubted we’d get through. So of course in the second half of 2014 I’m doing 3 MORE shows in a row. Only 2 different cities this time, but this time 15 weeks in a row! Opportunity is getting to be a lengthier visitor.